Twenty-five years after 700,000 U.S. troops fought and won the first Gulf War with remarkably low casualties, research "clearly and consistently" shows that exposure to pesticides and other toxins caused Gulf War Illness, a complex and debilitating disorder that affects as many as 250,000 of those deployed, according to a new report led by a Boston University School of Public Health (BUSPH) researcher. 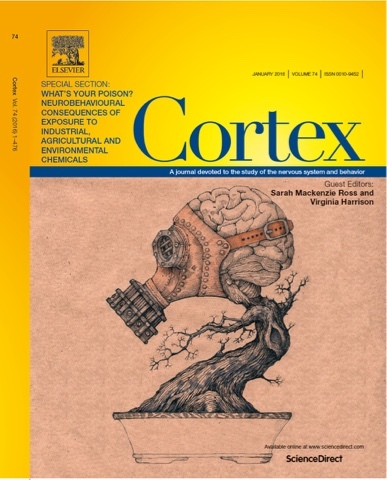 In a special issue of the journal Cortex that coincides with the 25th anniversary of the war, Roberta White, professor of environmental health at BUSPH, and colleagues from a dozen other institutions comprehensively review studies on Gulf War Illness (GWI), especially those since 2008. They conclude that exposure to pesticides and ingestion of pyridostigmine bromide (PB) - prophylactic pills intended to protect troops against the effects of possible nerve gas -- are "causally associated with GWI and the neurological dysfunction in Gulf War veterans." The research team also cites multiple studies showing a link between veterans' neurological problems and exposure to the nerve-gas agents sarin and cyclosarin, as well as to oil well fire emissions. These "toxic wounds" resulted in damage to veterans' nervous systems and immune systems, including neuroendocrine and immune dysregulation, autonomic nervous system irregularities, and reduced white and gray matter in veterans' brains, the review says. White and colleagues have been studying the health of troops deployed in the 1991 Gulf War for more than 20 years to determine why so many of them suffer from a multi-system disorder characterized by fatigue, joint and muscle pain, headaches, concentration and memory problems, gastrointestinal distress, and skin rashes. They note that effective treatments for the illness have been elusive, but that a recent treatment research effort has begun to produce promising leads. "Further research into the mechanisms and etiology of the health problems of (Gulf War) veterans is critical to developing biomarkers of exposure and illness, and preventing similar problems for military personnel in future deployments. This information is also critical for developing new treatments for GWI and related neurological dysfunction," they write. In 2008, a Congressionally mandated panel directed by White -- the Research Advisory Committee on Gulf War Veterans' Illnesses -- issued a landmark report concluding that Gulf War Illness was a "real" disorder, distinct from stress-related syndromes, and urging a robust research effort into its causes and potential cures. Gulf War veterans have complained for years that the Department of Veterans Affairs (VA) has not taken the illness seriously. In terms of toxic exposures, the authors note, six out of seven research studies have found "significant associations between self-reported pesticide exposure and GWI." Similarly, ingestion of PB pills dispensed by the military has been "consistently linked to ill health in GW veteran populations." James Binns, a co-author of the report and former chairman of the Research Advisory Committee, equated the main causes of GWI to "friendly fire." "We did it to ourselves," Binns said. "Pesticides, PB, nerve gas released by destroying Iraqi facilities -- all are cases of friendly fire. That may explain why government and military leaders have been so reluctant to acknowledge what happened, just as they tried to cover up Agent Orange after Vietnam. Certainly, the government should have been facing the problem honestly and doing research from the start to identify diagnostic tests and treatments." In the report, the research team notes that in addition to veterans suffering from GWI, other deployed troops from the first Gulf War report a variety of neurological disorders, either in conjunction with GWI or as separate ailments. Studies have found that deployed troops suffer a higher incidence of stroke, brain cancer and ALS (amyotrophic lateral sclerosis), compared to non-deployed veterans. The VA's own study, published in 2009, found that deployed veterans were diagnosed with seizures, stroke and neuralgia at higher rates than non-deployed service members. Other studies have found excess rates of brain structure alterations and brain cancer deaths among veterans who had the greatest exposure to nerve agents or oil fire smoke. The report makes clear that psychiatric problems "have been ruled out" as a cause of Gulf War Illness, noting that Gulf War veterans have lower rates of post-traumatic stress disorder (PTSD) and other psychiatric disorders than their counterparts who served in other wars. The research team says that a number of studies using diagnostic imaging and EEG probes have identified "structural and electrical abnormalities" in the central nervous systems of deployed troops with GWI. Fourteen of 15 papers published since 2008 support that conclusion, the report says. White and colleagues say that overall, the research to date supports the conclusion that veterans are suffering from a "persistent pathology due to chemical intoxication." They say further research into GWI could benefit other occupational groups, such as farmers and insecticide applicators, who have similar exposures. White said she is hopeful that new research efforts will lead to effective treatments, especially as veterans age and are at increased risk of neuro-degenerative diseases. Co-authors on the study include Kimberly Sullivan, a research assistant professor in environmental health at BUSPH who is the principal investigator on a large, multi-site Gulf War Illness Consortium study; Lea Steele of Baylor University Institute of Biomedical Studies; James O'Callaghan of the Health Effects Laboratory Division, Centers for Disease Control and Prevention; Beatrice Golomb of the University of California, San Diego; Floyd Bloom of The Scripps Research Institute; James Bunker of the National Gulf War Resource Center; Fiona Crawford of the Roskamp Institute; Joel Graves, retired U.S. Army captain; Anthony Hardie of Veterans for Common Sense; Nancy Klimas of the Institute for Neuro-Immune Medicine, Nova Southeastern University; Marguerite Knox of McEntire Joint National Guard Base; William Meggs of the Brody School of Medicine, East Carolina University School of Medicine; Jack Melling of the U.S. Government Accountability Office; Martin Philbert of the School of Public Health, Ann Arbor; and Rachel Grashow of Northeastern University. Boston University School of Public Health, founded in 1976, offers master's-and doctoral-level education in public health. The faculty in six departments (biostatistics; community health sciences; environmental health; epidemiology; global health; and health law, policy & management) conducts policy-changing public health research around the world, with the mission of improving the health of populations -- especially the disadvantaged, underserved, and vulnerable -- locally, nationally, and internationally. so now what. It seems like we finally have a smoking gun. What is expected from the VA? will they correct the VA claim denials? will we need to have curtain tests ran to prove we have GWS?